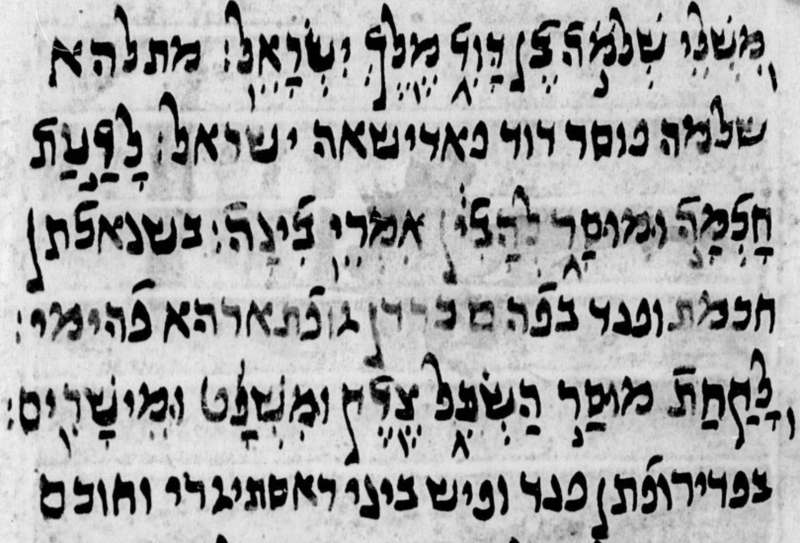 The manuscript CFMM 144, from the early twentieth century, is almost identical to ZFRN 40, a collection of Syriac mēmrē, especially by later authors, most of whom are not very well known and have been little studied. The CFMM manuscript is distinct, however, in having at the end a mēmrā by Isaiah of Bēt Sbirinā (d. 1425) on Job and his wife. (For a lighthearted review of the biblical tale, see here.) I do not yet know of any other copies of this text. Unfortunately the copy in CFMM 144 is incomplete, but nevertheless I would to share it along with a preliminary English translation. See the document here: isaiah_bet_sbirina_memra_job.